We incorrectly had Marilyin on our list of famous left-handers for a while and this may have helped to propagate the myth as a lot of other websites seem to have copied our list. However, we were advised of our error by some eminent experts and you can see the emails they sent us below. I just found your website and wanted to let you know that Marilyn Monroe was not left-handed. I'd be really grateful if you could take that reference from your website, as Marilyn was a right handed person. I have nothing against left handed people at all - my best friend is one - but Marilyn was not so just thought you should know. BUT I need to make a small correction for you. Marilyn Monroe was NOT left handed. 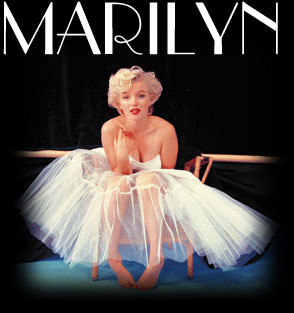 I am a Marilyn Monroe Historian. I have been featured on many documentaries on Marilyn Monroe and I run two of the largest largest Internet Fan clubs on line. These people can confirm with you that the myth that MM was lefthanded was just that...a myth. Just trying to set the record straight on Marilyn Myths. Hello, I'm the president of a well known Marilyn Monroe fan club and also have a popular Marilyn Monroe website which has been credited as a source of information for books and for TV documentaries about Miss Monroe. 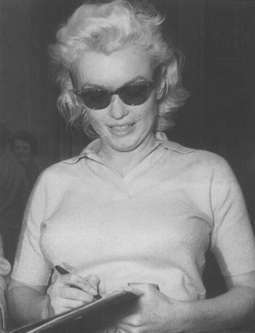 On my site I have a page debunking the myth that Marilyn Monroe was left-handed. The page has photos showing Marilyn writing, and using tools and utensils with her right hand. Furthermore, her handwriting is right-handed. Many thanks to MIchelle, Jill and Danamo for helping us with this. Where is the evidence that started the left-handed myth?